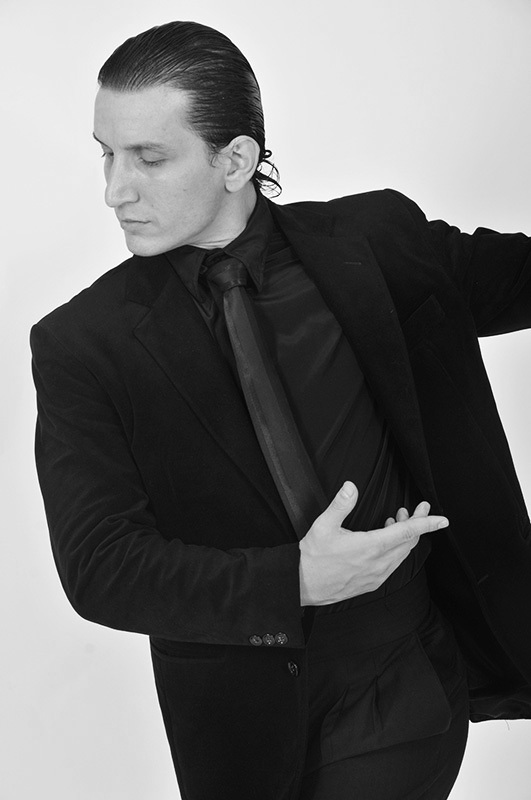 Sebastian Acosta – Professional dancer of Argentine Tango and Jazz. Jazz Studies : Noemi Coelho, Rodolfo Olguin, Sonia Rubba, Manuel Vallejos, among others. Working in the company of Modern Jazz Noemi Coelho and Rodolfo Olguin. Tango Studies: Roberto Herrera, Jorge Torres, Claudio Gonzalez , Gustavo Naveira. He coached showmatch performing choreography of Emilia Atias , Celina Rucci, Moria Casan , Ileana Calabro , among other Argentine celebrities. Choreographer, producer, director and dancer of his own shows including TANGON , Tangoneando , SINS made in Uruguay. First dancer of The Merry Widow at the Teatro Avenida. Teaching classes in Europe , Asia and Latin America. Toured Europe, Asia and USA performing Tango on the best renowend stages. Worked as a dancer in different companies recognized worldwide including: Tango Passion, Tango Seduction, Latin Dance Carnivale , Patterns Porteñas, Tango Nuevo, Mora Godoy Company where he was was the first dancer and choreographer. In Spain he shared the stage with renowned singer Guillermo Fernandez Song of Despair as a soloist. Stared Tango festivals in different parts of Europe : Italy, France, England, Holland, and other countries. In Buenos Aires worked in the most important Tango houses :Señor Tango, The Old Shop, La Esquina Carlos Gardel, Taconeando, La Ventana, Esquina Homero Manzi Tango Central, among others.